For an old guy, Albus Dumbledore sure is pretty spry, isn’t he? At his ripe old age, he managed to destroy some well-guarded Horcruxes. He held the title of Headmaster of Hogwarts. He even survived a one on one duel versus that deadliest dark wizard in the entire world, Lord Voldemort. That would have sent many younger men packing, but Albus just rolled up his sleeves and got to work! We hope we’re one-tenth the level of sprightliness as him when we reach that age! 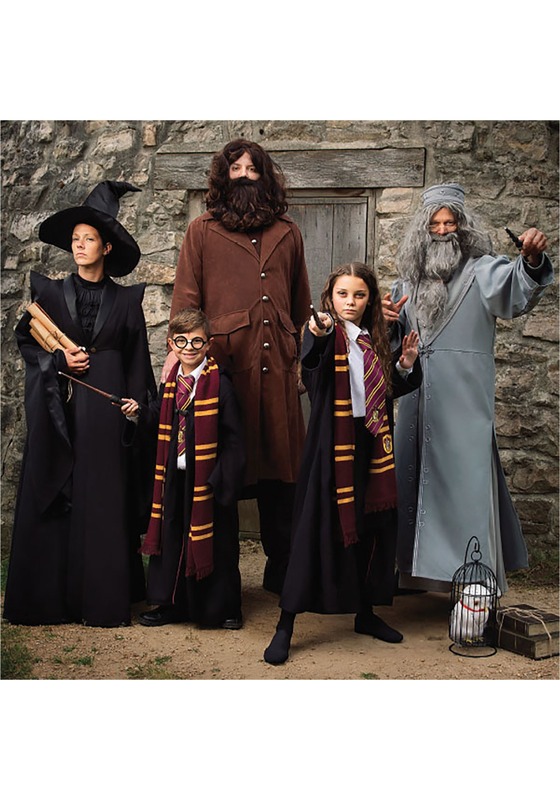 Well, we’ve decided to start training to be like Dumbledore and you can too! 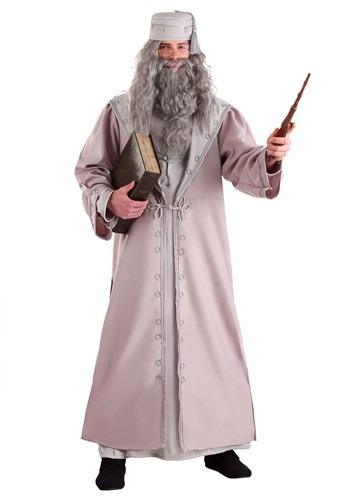 All you need is a can-do kind of attitude and this licensed Albus Dumbledore costume. The costume is a deluxe outfit that comes with everything you need to look like the master wizard. It comes with a light gray robe that has intricate detailing along the outer layer and along the sleeves. It comes with a matching hat, since no adept wizard look is complete without a fancy hat! The only thing you’ll need to start your training is a few books from Hogwarts and the Elder Wand. We still haven’t figured out how to get to Hogwarts to rent a few books from the library. Also, we’re pretty sure that the Elder Wand is chilling in the real Dumbledore’s grave, so you’re going to have your work cut out for you if you want to follow completely in Dumbledore’s footsteps. It’s a good thing you won’t have to worry about your wardrobe!